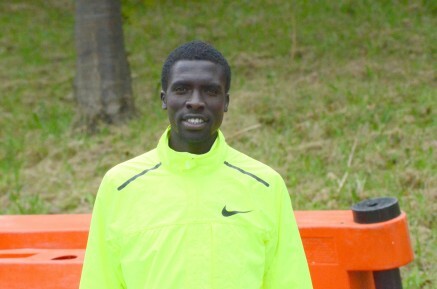 29th March 2015 – Kenyan international Emmanuel Bett (KEN) was in a class of his own as he stormed to victory at the Azkoitia-Azpeitia half marathon in northern Spain. Emmanuel was comfortable running in the lead group of about 8 athletes for the first half of the race which passed 10k in 28:29. Shortly after though Emmanuel pushed the pace and was away and clear to simply race the clock. He crossed the line over 40 seconds ahead of second place in a fine PB of 60:08 and with the indication that a sub 60 minute clocking is going to happen sooner rather than later. Thomas Ayeko (UGA) continued his recent resurgence and two weeks after winning the IAAF cross-country race in Antrim finished fourth here also in a new PB of 61:12.